In order to keep pace with the never-ending demands of customers, we are involved in offering a wide range of Deburring Ceramic Media(Ceramic Grinding Media). 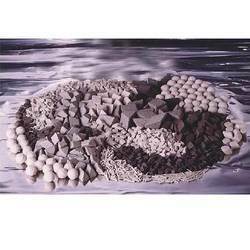 Owing to our experts and rich industrial knowledge, we are keenly successful bin presenting Ceramic Deburring Media. In adherence with the expansions in this market, these are manufactured in tune with the parameters and norms defined by the market. Also, their sturdy finish makes these highly valued. Very good cutting as well as polishing actions. 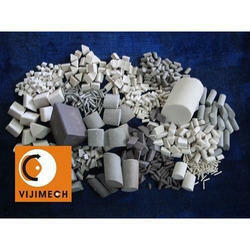 khyati ceramics offers a complete family of ceramic grinding media for various grinding applications. The company also offers ceramic deburring, cutting & polishing media for various mass finishing (vibratory or centrifugal or tumbling barrel) applications of metal parts.